The Rupes Big Foot Detailing Apron is a stylish, universal size, detailing apron that is designed to keep the detailer clean and protect your vehicle’s delicate surfaces as you polish and perform paint correction. 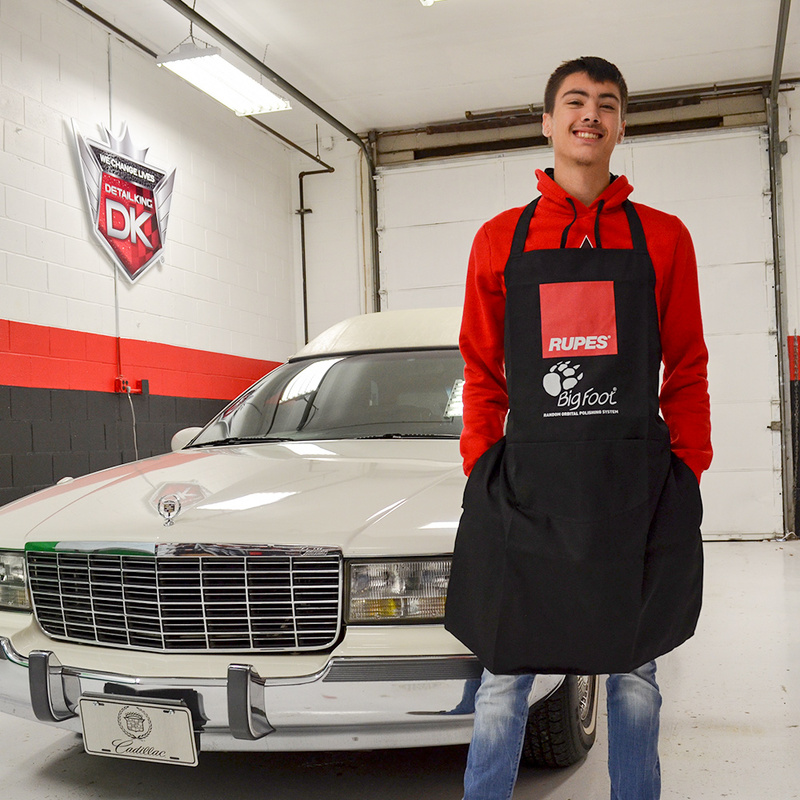 Made of 100% polyester, the Rupes Big Foot Detailing Apron is lightweight and very comfortable to wear and will not scratch your vehicle’s finish. 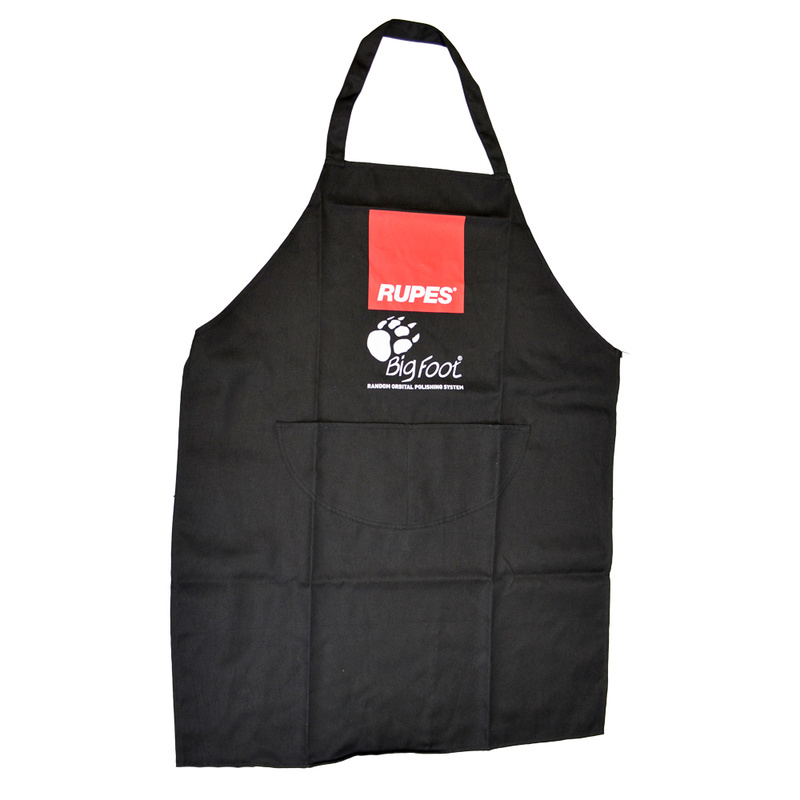 The Rupes Big Foot Detailing Apron shows prospects and customers that you take your detailing profession seriously. The front of the apron displays the logo of one of Europe’s most reputable tool manufacturers. The front of the Rupes Big Foot Detailing Apron has pockets to store applicators, pad brushes, car keys, buffing pads and a lot more! It’s important to keep your clothing protected as you perform auto detailing and what is even more important is protecting the car that you’re detailing. Belt buckles and wallet chains pose a risk to your vehicle’s painted surfaces as you make contact with it, while reaching the roof and other tall body panels. 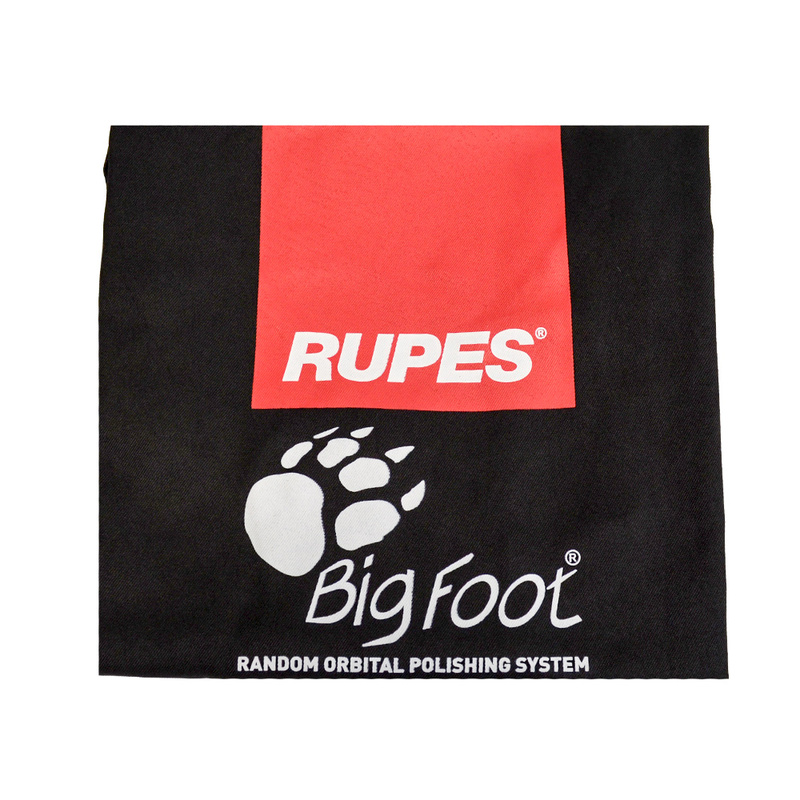 Show off the fine Rupes Brand while polishing paint to perfection with our Rupes Big Foot Detailing Apron! The Rupes Big Foot Detailing Apron is machine washable.